Description: You are bidding on a Springfield XD-S Single Stack in 45acp with a 3.3" Barrel. The XDS 45 Holiday Package from Springfield contains all of the basics you need for your XDS 45ACP Black - minus the ammo, of course. 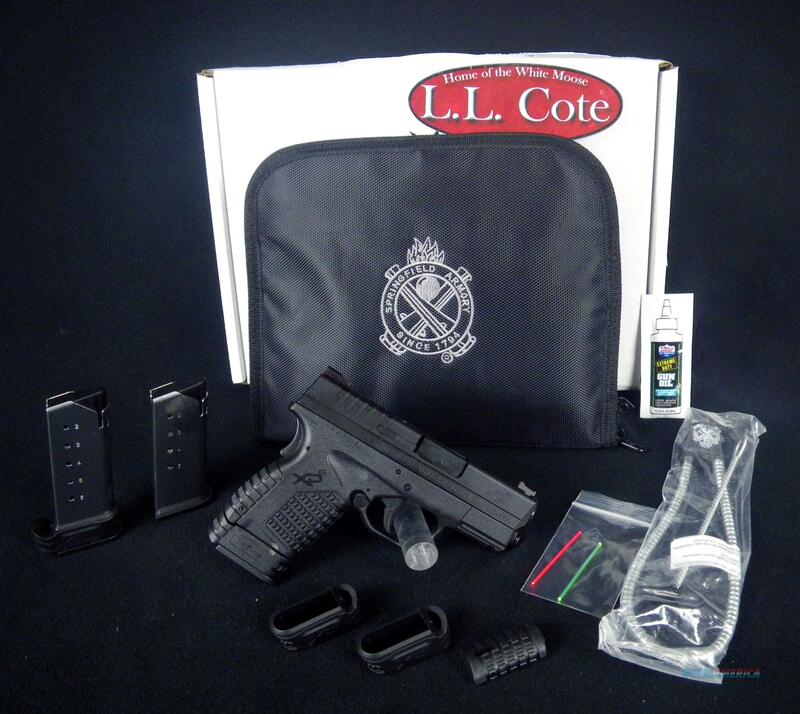 The Holiday Package includes your pistol, three magazines, two interchangeable backstraps that allow you to custom fit your grip, a notebook gun case, a cable lock, and a bore brush. The three stainless steel magazines that come with your XD-S 45ACP Black Holiday Package include one 5-round flush-fitting magazine, along with two of Springfield’s 6-round Mid-Mag with the X-Tension grip sleeve. Displayed images are stock photos. Any questions please feel free to ask (our phone number is in the additional information tab above).